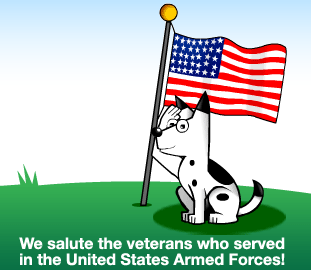 Today is a day to thank our troops for their bravery and all they have done for this country. As a way to thank our troops, Google, DogPile, Live.com and the Search Engine Roundtable have put together logos and themes for the day. I personally do not currently see a special logo or theme from Yahoo or Ask.com, which is unusual. In 2004, Ask Jeeves and Cre8asite Forums had special logos and in 2007, DogPile and Google had special logos.